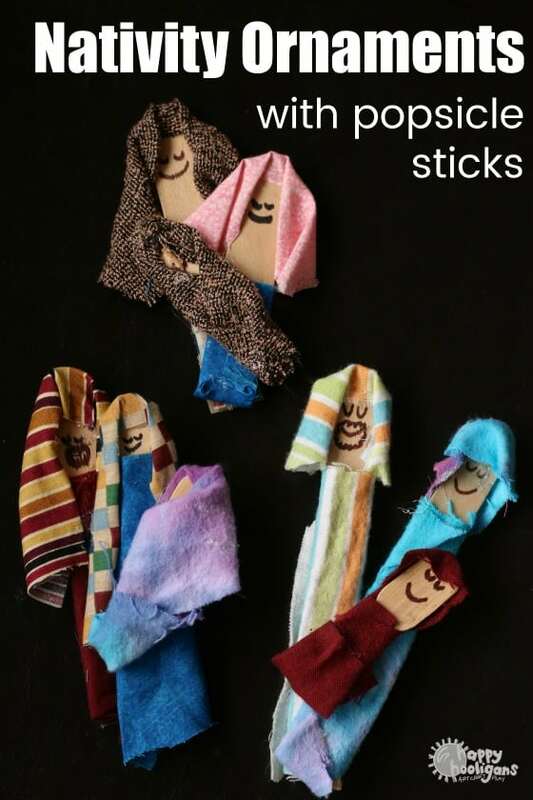 If you’re looking for a great nativity craft for your kids to make this Christmas, you’ll love this popsicle stick nativity craft. 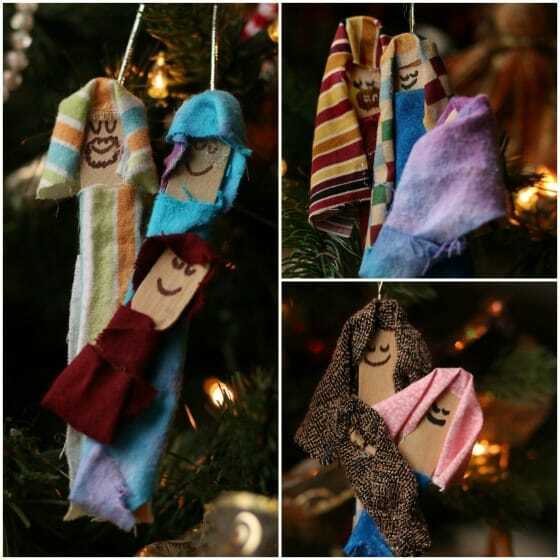 It’s a Mary, Joseph and Baby Jesus Christmas ornament made from popsicle sticks and fabric scraps and it’s sure to be a treasured keepsake for years to come. 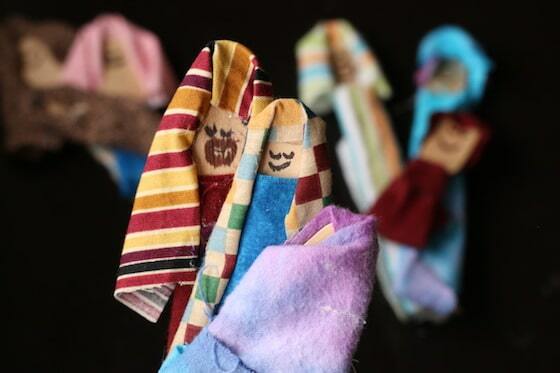 The inspiration for this popsicle stick nativity craft came from the toilet roll nativity sets that I made for my daycare kids several years ago. They’ve always loved nativity sets and the characters in them. When they were toddlers I would set up a nativity sensory bin and they’d spend hours playing with it in the weeks before Christmas. You may want to check out these fun, and kid-friendly Nativity Sets that are made for play. 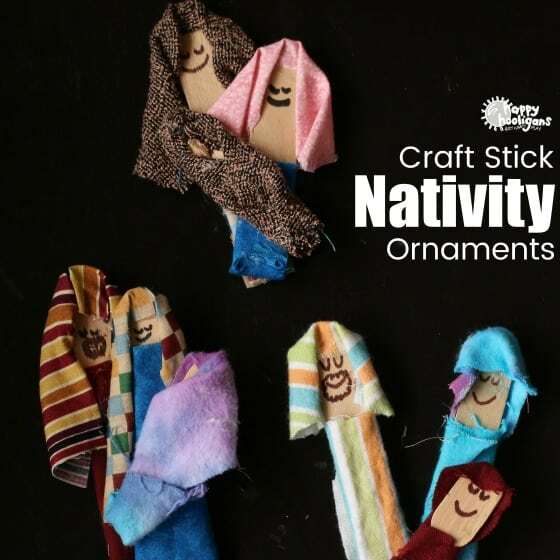 They’re older now, and all about the crafts rather than the toys, so I thought, knowing how much they love nativity scenes that it would be fun to make some nativity ornaments for the Christmas tree. Now, we’ve made hundreds of homemade ornaments over the years, but we’ve never made a nativity ornament, so I had to put my thinking cap on to figure out how we could do it. Most popsicle stick nativity crafts feature the stable and manger, but I wanted ours to feature the nativity characters themselves. 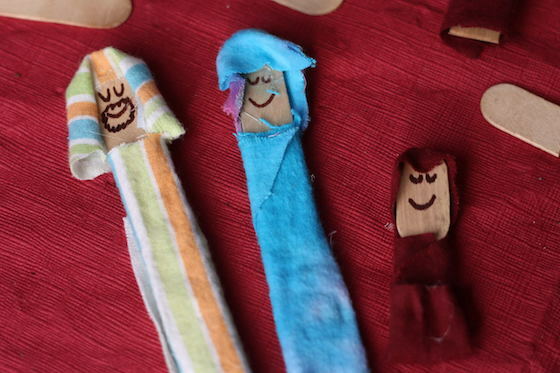 Now, we’ve made some pretty popsicle stick characters in the past, so I figured popsicle sticks might just be the thing to make our nativity ornaments with. Check out our Santa, Elf and Reindeer Popsicle Stick Craft too! 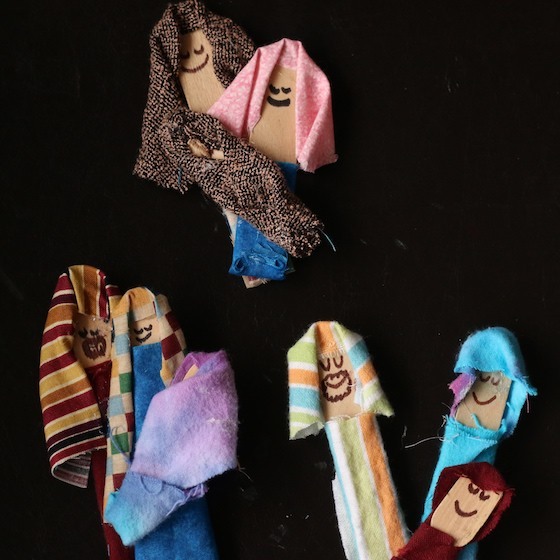 I wanted to capture the loose, flowing clothing that biblical characters wear, so we’ve used fabric scraps to dress Mary and Joseph, and to swaddle our baby Jesus in. We were so thrilled with the way our nativity ornaments turned out. They are simply adorable. 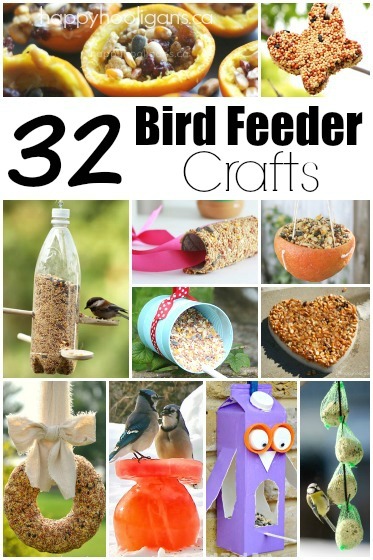 This would be a lovely craft to do after reading the nativity story together with your kids. 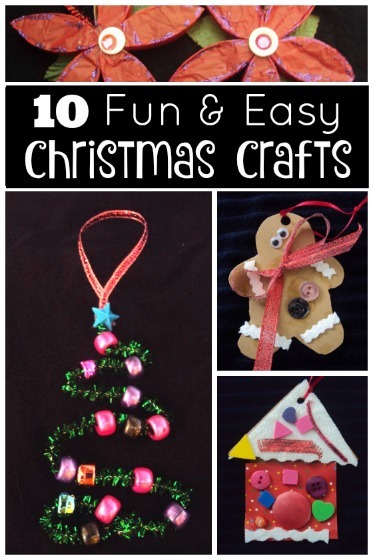 Because Mary and Joseph’s clothing requires acute fine motor skills and a low-heat glue gun, this is a Christmas craft that’s best-suited for kids aged 8 and up. Ok! 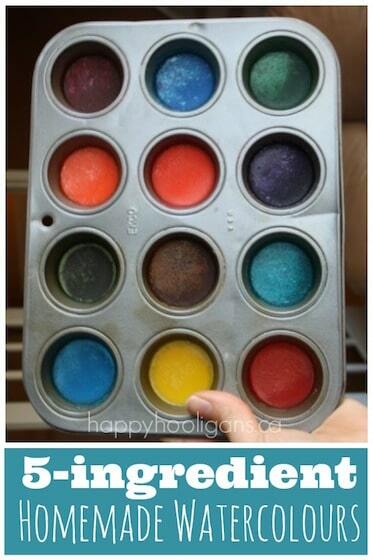 Let me show you how we made our nativity ornaments. Before we began, I set the kids up with 2 jumbo craft sticks for Joseph and Mary and one mini craft stick for baby Jesus. I used some sharp snippers to cut Mary and Joseph to the height that the kids wanted them to be. 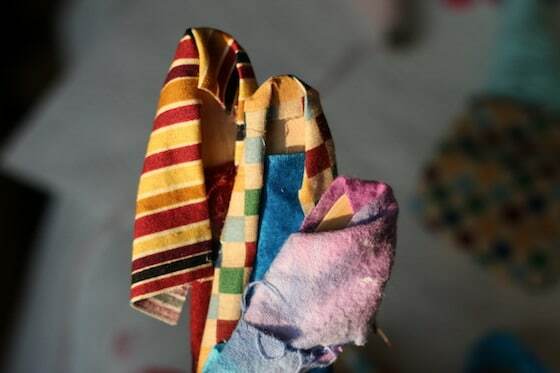 Then the kids went through our collection of fabric scraps and chose the fabric they wanted to clothe their characters in. Mary and Jospeh will require two pieces of fabric – one for the head and one for the body. Baby Jesus will require just one piece of fabric for the swaddle blanket. I didn’t measure these pieces, but the photo below will give you an idea of their sizes compared to the craft sticks. 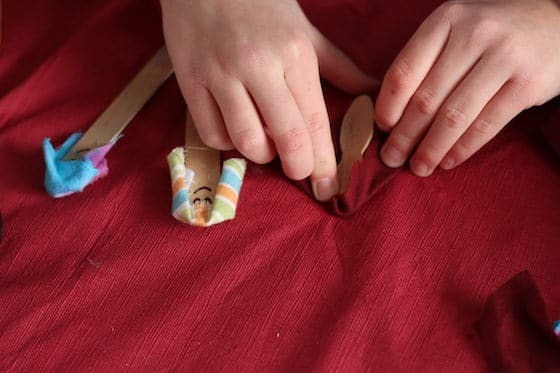 Then, we plugged in our low-heat glue gun and the kids took turns with it, gluing their fabric swatches to their craft sticks. It was a little fiddly getting the head covering glued properly in place so the face of the craft stick wouldn’t be covered, so their fine-motor skills were put to the challenge. 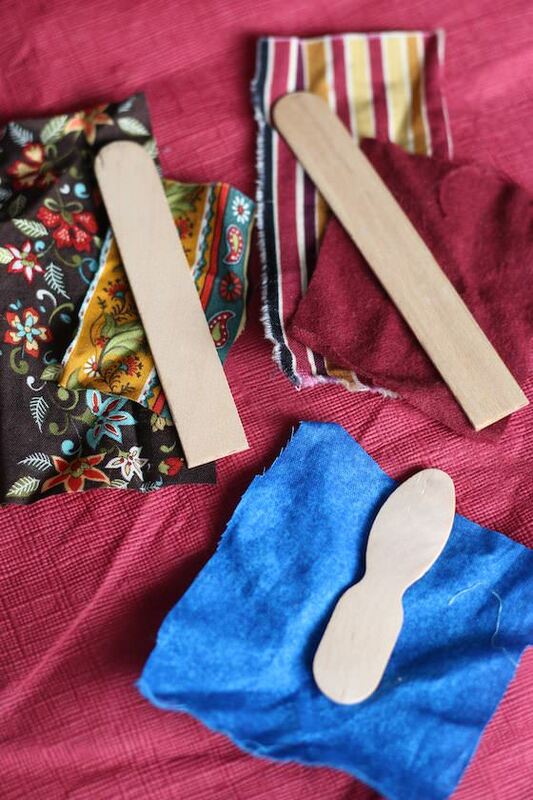 Mary’s dress and Joseph’s tunic were easy-peasy to glue in place. The kids just wrapped their fabric scrap around the lower portion of the popsicle stick and ran a line of glue down the back of the stick. 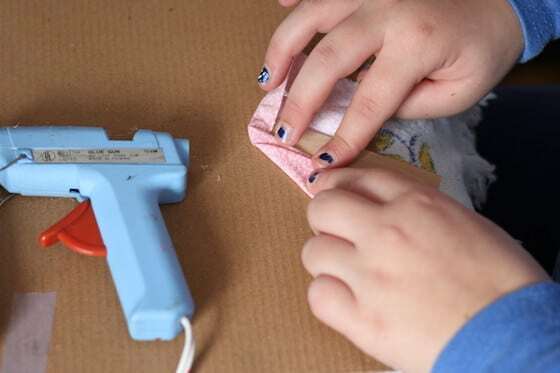 Tip for using glue guns with kids: Keep a bowl of cold water nearby in case anyone gets hot glue on their fingers. 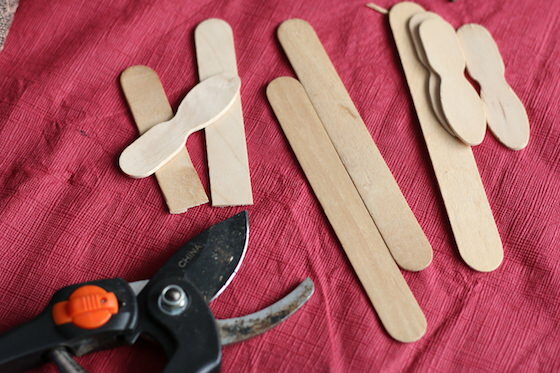 A low-heat glue gun isn’t hot enough to cause a serious burn, but a bowl of water brings quick relief regardless. For baby Jesus, we found it easiest to lay the mini craft stick on a square of fabric and wrap just as you would a real baby. After gluing the clothing to their popsicle sticks, the hooligans used Sharpies to draw eyes and mouths on their characters. You actually don’t need to put faces on your characters if you like the look of them without. I actually thought they looked great without facial features, but we all opted to draw faces on ours. Now, originally I thought we would make these as 3 individual ornaments – a Joseph, a Mary and a Baby Jesus to hang on the tree, but then it occurred to me that it might be more striking if we attached them all together, and I’m so glad we did. Just run a little hot glue down the edge of Joseph and press the back of Mary into the glue. Next, glue the Baby Jesus to Mary as if she was cradling him in her arms. And check out how our popsicle stick nativity ornament looks hanging on our Christmas tree! This is our first homemade Christmas ornament to go on our tree this year, and we’re just thrilled with the way it turned out. 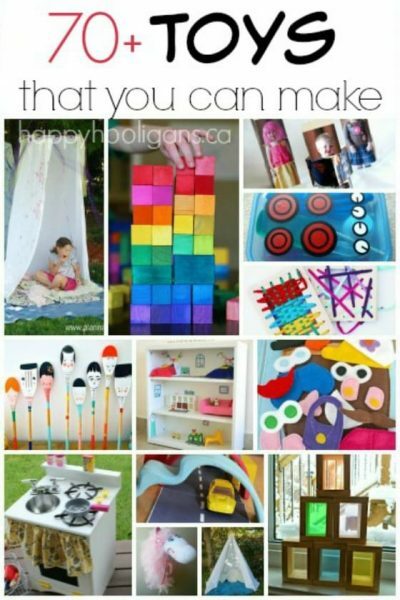 We’ll have lots more fun and easy Christmas crafts coming your way this holiday season, so be sure to stay tuned to the blog! Hi there! 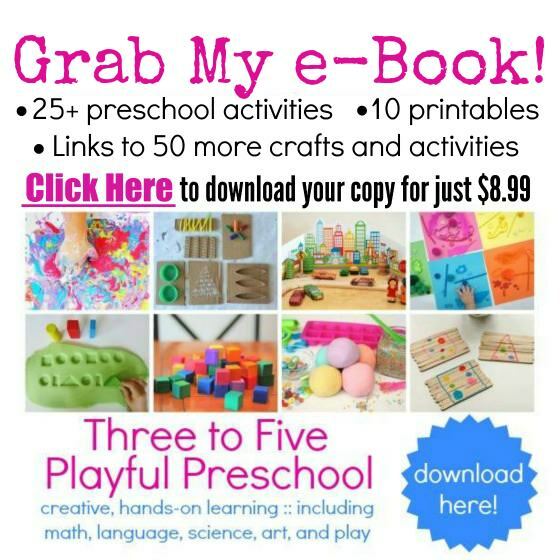 I’ve searched my email list, and I can’t find your email address or your name there to delete it, so I’ve sent you an email to let you know how you can remove yourself from my mailing list. 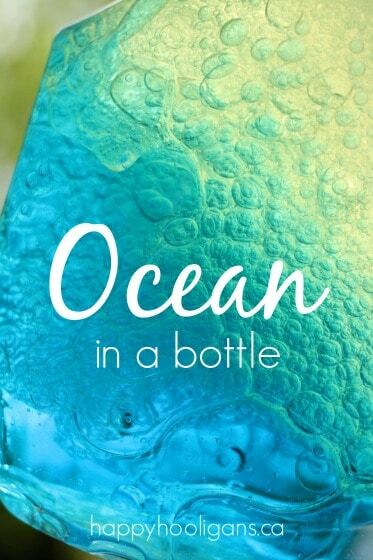 Please let me know if you need any assistance with it.